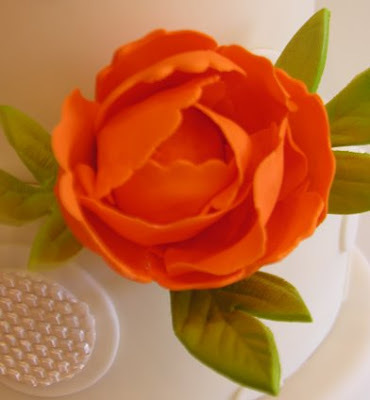 Sedona Cake Couture: Sedona Cake Couture Loves Those Peony Wedding Cakes! 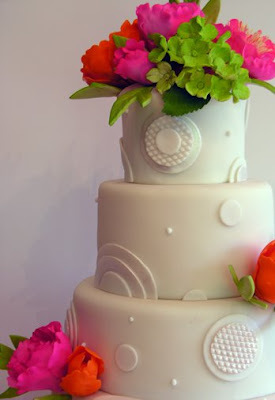 Sedona Cake Couture Loves Those Peony Wedding Cakes! Another beautiful peony wedding cake from Sedona Cake Couture. The sugar peonies completely matched the bride's bouquet. This is truly a hot trend for wedding cakes here in Sedona, Arizona. We loved the hot color combo of pink, orange and lime green. Stay tuned for more peony wedding cakes coming soon! 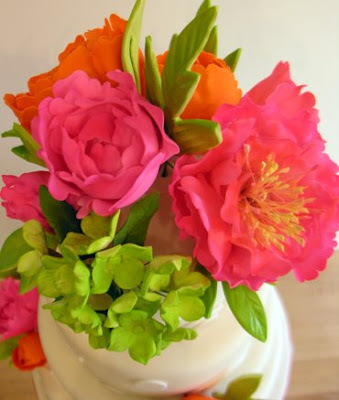 Sedona Cakes - Peony Style!